Yes, we’ve got more racing games for you, and we shall now be covering a blast from the past. 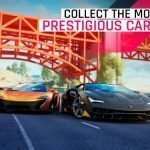 Gameloft’s Asphalt 7: Heat, which was released for iOS and Android about three years ago, and it gives you the chance to drive up to 60 different high-performance cars, including those from Ferrari and Lamborghini, and even the DeLorean you probably know from the Back to the Future series. 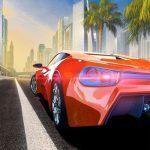 You can race in 15 tracks located in exciting locations like London, Paris, Miami, and Hawaii, and challenge other human players from different parts of the world. 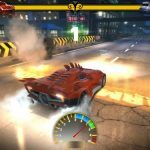 It’s been a while since this game was released, but if you’ve just started racing and want to further your progress on the racetrack, we suggest you to take a look at our list of Asphalt 7: Heat tips, tricks and cheats. This should go without saying, as this is a constant tip across any racing game ever made. 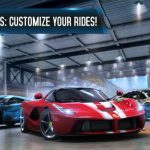 You need to upgrade your ride and pay some in-game money to make your car better under the hood. You can upgrade your car’s Top Speed, Acceleration, Nitrous, Nitro Efficiency, Handling, and Armor, and while this isn’t a suggested upgrade hierarchy, we believe the Top Speed upgrade would usually be the best one to focus on before the others. It may cost you some money, but it’s always worth it to pay for sponsors before a race. Sponsors, which are ostensibly products that you’ll be endorsing through your ride, actually give you some boosts for the race, such as free nitro, speed boosts, and more. If you’re looking for that one thing to get you past an opponent, you may try enlisting a sponsor. Unlike in real-life racing, where everyone has to follow a specific path around the track, each of the tracks in this game come with their own shortcuts or alternate paths. If you’re able to find a shortcut, may it be a ramp or an alternate route, use it, as that will allow you to trump the opposition and earn more cash and boosts. There’s another neat way to get some in-race boosts, and that’s by driving through icons. These icons appear at certain parts of a racetrack, and all you need to do is to drive through them for additional nitro, additional speed, or some extra cash, for instance. Your nitrous oxide will allow you to get a good jump on your opponents, or overtake them easily when they don’t expect it. Simply tap (up to three times) on your screen to activate your nitro; this is best used when on straightaways, with a clear path ahead of you. One of the more interesting aspects of Asphalt 7: Heat is that you can spend your Asphalt Dollars on car rentals. That means you can rent a car and take it out on a test drive for a certain amount of money, with the rental price increasing as the car gets better. These rentals only last for one race, but it’s a good way for you to get a feel for a car you don’t own yet; you don’t want to get buyer’s remorse when a new, high-end car doesn’t suit your needs after all.